The spread at Bakeri. Photo courtesy of Bakeri. We're totally smitten with Bembien, a collection of woven handbags from artisan communities around the world. Founder Yi-Mei Truxes gave us the scoop on how she spends her Sundays in Greenpoint, the Brooklyn neighborhood she calls home. GREENPOINT, Brooklyn – Since launching a little over a year ago, my work and home lives have blended into one. With just four blocks separating my apartment from the office, Brooklyn's Greenpoint neighborhood has come to be home. I spend most of my time working, but Sundays are for re-grouping before the long week ahead. My first stop is usually . The freshly baked sourdough bread, magnificent vaulted wooden ceilings, and signature bowls of coffee makes it my ideal Sunday start. Best when I can commandeer a high seat at the bar in the back, order one of the delicious teas, and watch the bakers work their magic. I like to keep my eyes peeled as they whip up the most delicious egg and cheddar biscuit sandwich with nothing more than a whisk and a hot plate. 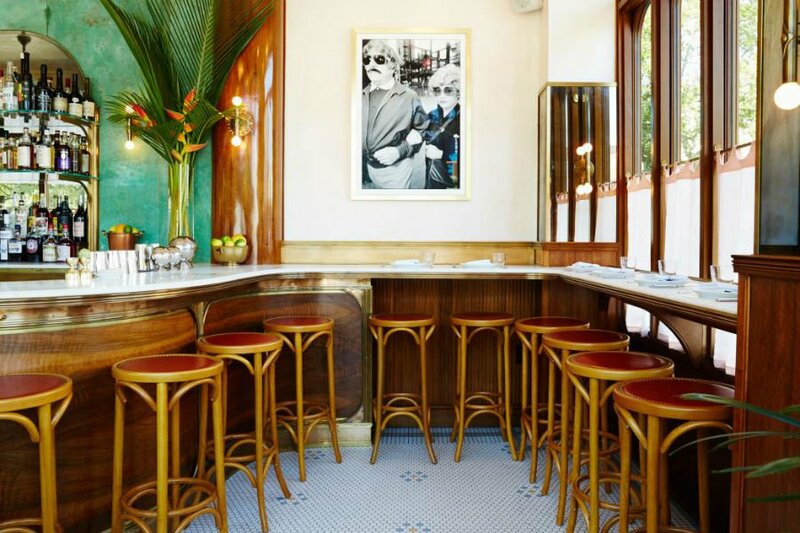 Next stop: , a stunning French café on the northern corner of McCarren Park. 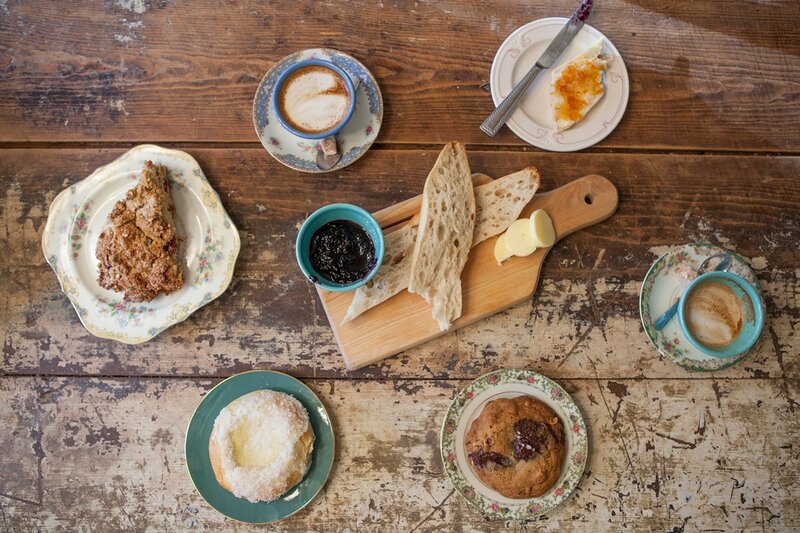 Perfect to meet close friends for a quiet breakfast. Something about this place just feels right — from the antique brass lighting fixtures to the coffee mug. Sitting inside is like being on a mini vacation from life. If my meal doesn't include bacon, I order it on the side. The perfect nook for a Sunday at Sauvage. Photo courtesy of Sauvage. 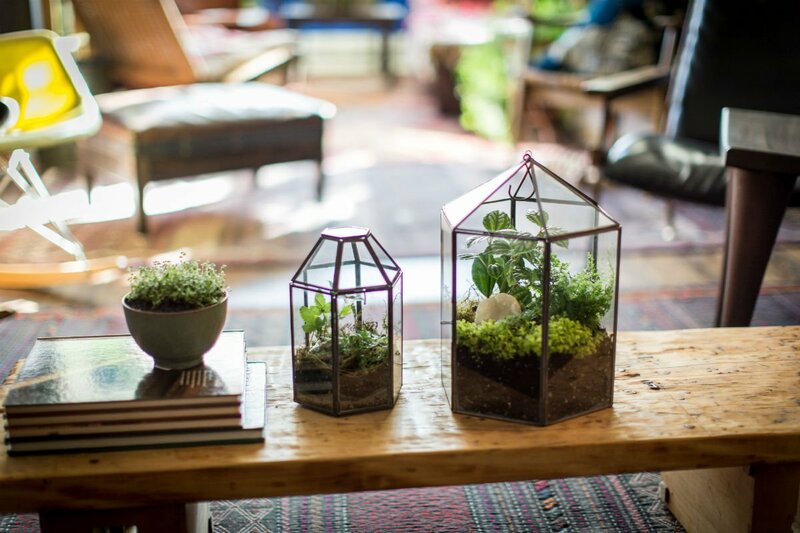 Mini greenhouses at Sprout Home. Photo courtesy of Sprout Home. Back to reality and time for a few housekeeping items. Sunday is the only day I have time to take care of my home. My favorite way to do so is by overloading the place with plants, flowers, and any other wildlife I can get my hands on. My Greenpoint go-tos are and . If I'm down in Williamsburg, I'll go to . Another favorite Sunday activity is a late and leisurely lunch. My all-time favorite is a little spot in the northern corner of Greenpoint called . With a vintage grand piano in the front, book-covered walls throughout, and the most darling garden out back, it's hard to go wrong with the French bistro. The simple green salad is to die for. I pair it with a baked good from Balthazar and I'm good to go. Other great lunch options are (owned by Bill Murray's son) and (order the tuna fish sandwich). 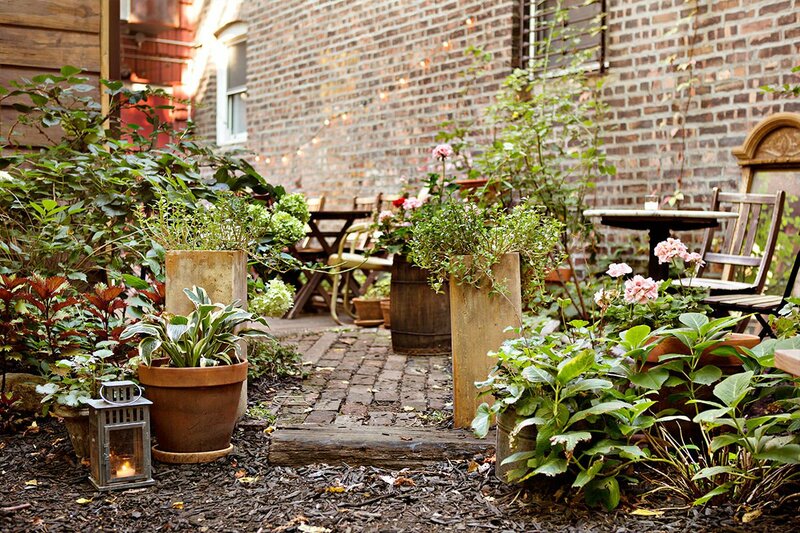 The charming backyard at Milk and Roses. Photo courtesy of Milk and Roses. 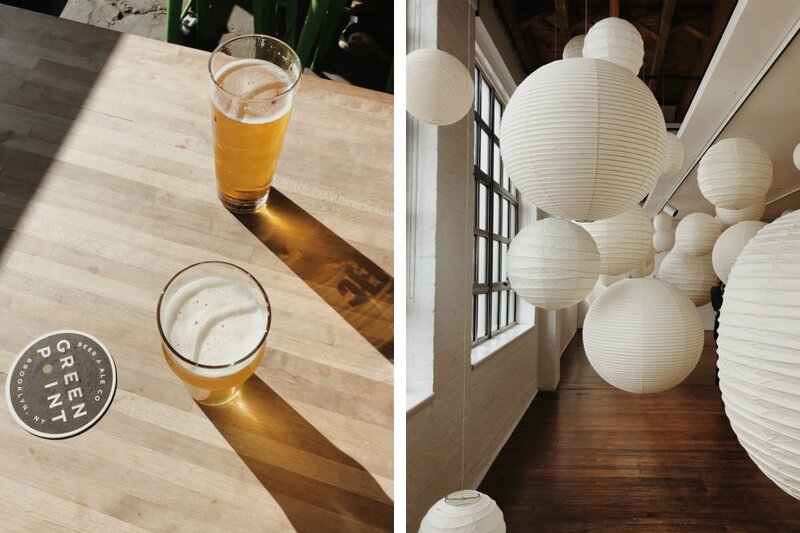 From left: Sunny Sundays at Greenpoint Beer & Ale Co. and an installation at The Noguchi Museum. Photos by Yi-Mei Truxes. From Greenpoint's north end, it's just a quick jaunt over the Pulaski Bridge (there is a walking and biking path) to reach two excellent museums: and . Both are calming, therapeutic, and overall just good for the soul. Once back, it's time for a pre-dinner drink. My go-to is , a local watering hole on the corner of Greenpoint and Franklin, which offers the greatest people-watching in Brooklyn. The most magical time to visit is right as the sun is sinking. Since the bar is on the corner of a very wide street, you can get a steady stream of sun while sitting at an outdoor table. In the winter I go to for a drink by the fire. My favorite place to get snowed in is . is a bit fancier, but still fun. For the true Greenpoint experience, sometimes I end the day at with a famously good brick-oven pizza. I don't even look at the menu anymore, as my order hasn't change in years: one Hellboy (a new and improved take on pepperoni with soppressata piccante, mozzarella, and chili-infused honey) and one Milk & Honey (a chamomile-infused beer from the brewery down the street). I enjoy my meal with a side of classic rock B-sides. On my way home, I stock up on wine and say hi to the neighborhood dogs at . If you're like me and are looking for a solid bottle of red between $11-13, there is no better selection in all of New York. Happy and full, I'm ready to charge into the week ahead. Yi-Mei Truxes is the founder of . You can follow her on Instagram at and . She travels for the insights of other cultural perspectives.